Waiting rooms can be boring and uncomfortable. It can be the worst part of any doctor’s visit! Sometimes the main fix to this is the design and layout of the room along with the furniture selected. Make sure when picking your furniture you do not solely base it on price or looks. Sometimes the most beautiful chair is the worst to sit in, and it can make the wait seem longer. A bad experience can make a patient switch doctors after just the first visit. First impressions are very important! Take time to inquire with a professional, and it’s okay to ask to see a sample to try out before choosing. This should be the focal point of the room. The desk should be inviting and organized. Clutter on the reception counter is never a good thing and can also make receiving patients for check-in less efficient. Our experienced professionals will make sure to carefully measure your space prior to ordering, making sure you have plenty of space to move easily from the seats to access the reception desk. In our previous blog we wrote about how colors can change the mood of a space. Carefully choose the colors based on the vibe you want to exude. Green and blue with a splash of pink can work well for a doctor’s office. This can show trust, compassion, and harmony. As always, for any help with your waiting room or any other area of you practice, feel free to contact us. 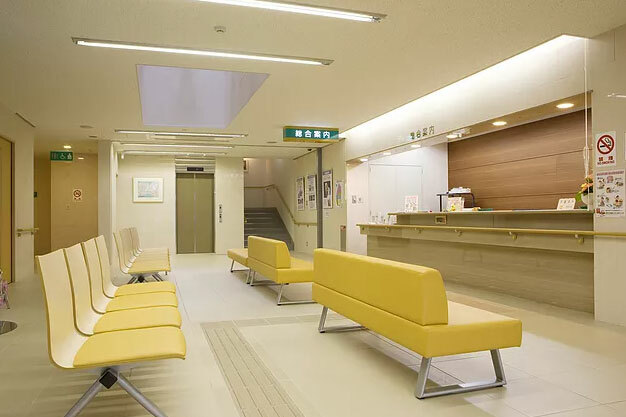 Hamilton Business Interiors has helped many healthcare facilities just like yours, and you definitely want someone with experience to guide you through the process! This entry was posted on Wednesday, December 20th, 2017 at 4:48 pm. Both comments and pings are currently closed.